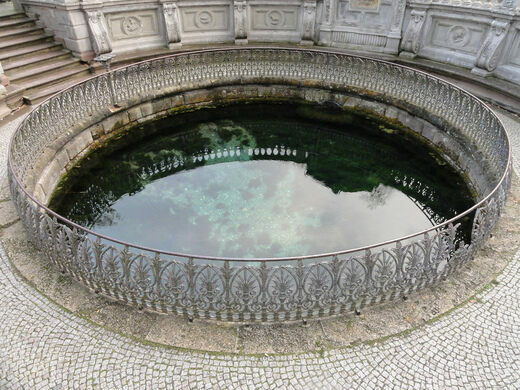 The start of the great Danube, which flows 1,700 miles, through 10 countries, all the way to the Black Sea, can be found in the small town of Donaueschingen in Germany. 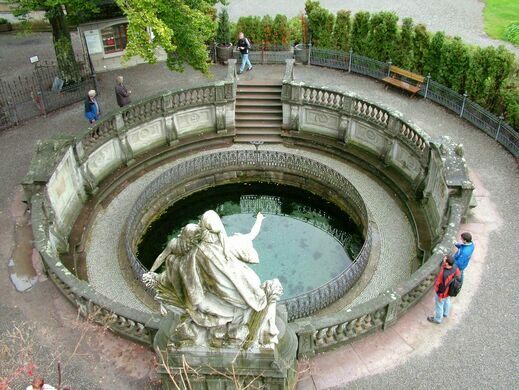 Though Donaueschingen is a charming old town, its only real tourist attraction is the Donauquelle, the source of the Danube (“Donau” in German), marked by a small blue pool of water. 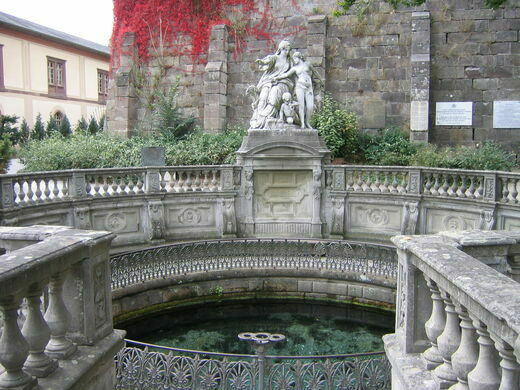 The basin is framed by wrought iron fence and a group of allegorical statues sculpted by Adolf Heer in 1895. 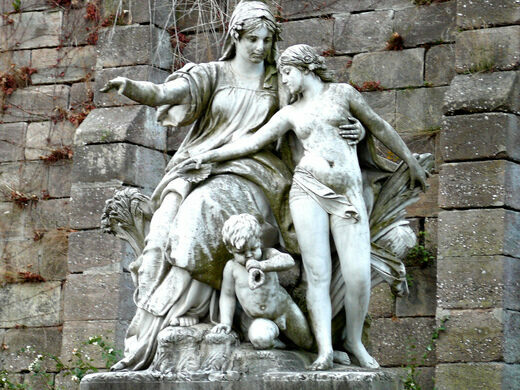 These depict the Baar, Germany’s great central plateau, as a mother showing her daughter, the Danube, the way out into the world. The Danube officially begins at the meeting point of two streams, the Breg and the Brigach. However, locating the source of the river has not been without controversy. The Breg, the larger of the two streams that feeds the river, originates in the town of Furtwangen, which claims that this makes it the true location of the Danube’s origin. 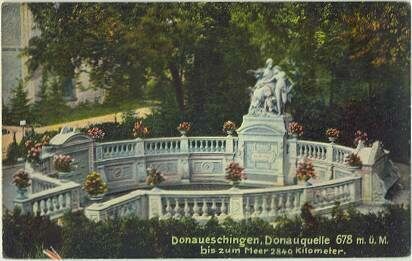 But Donaueschingen has been widely regarded as the source of the Danube as far back as the Roman Empire, and in 1981 the German government granted the pool in Donaueschingen the sole official designation of Donauquelle. 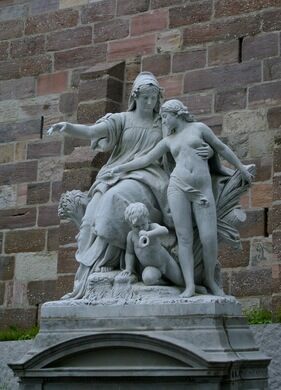 Donaueschingen is about an hour and a half drive from Stuttgart, and the town is small. 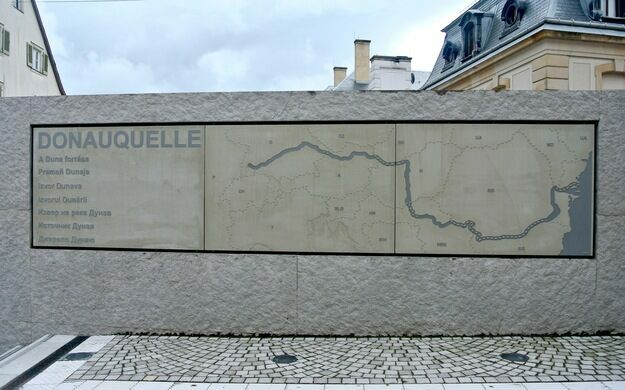 The Quelle is located near the center of the city and is easily recognizable. A remarkable two-country morph, this town is part of Germany legally but is by all other measures Swiss.